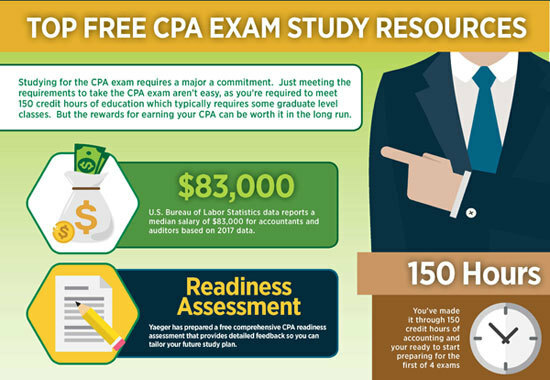 Studying and passing all 4 sections of the CPA exam requires around 400 hours of preparation. When you combine that with a full time job, the challenge can seem overwhelming. With that level of time commitment, it is very important to fully understand each section of the CPA exam. The question and content weightings are governed by the AICPA. The information provided by our guide is effective starting January 1, 2019 for all CPA exam sections. How is the CPA Exam Graded? Three of the four exam parts have the same question types and format. One section of the exam has a unique written communication question section. Questions on the CPA exam are either operational questions or pretest questions. Operational questions represent questions that you will be graded on. Pretest questions represent questions being considered for future tests. You are not graded on pretest questions. All 4 sections of the exam include multiple choice questions. Financial Accounting and Reporting (FAR), Auditing and Attestation (AUD), and Regulation (REG), include task based simulation questions. The fourth section, Business Environment and Concepts (BEC), includes written communication questions. All four parts of the CPA exam are tested in a four hour time window. AUD: 72 multiple choice questions & 8 task based simulations. BEC: 62 multiple choice questions, 5 task based simulations, and 3 written communication. FAR: 66 multiple choice questions and 8 task based simulations. REG: 76 multiple choice questions and 8 task based simulations. Remembering and Understanding: easiest question types. Evaluation: Most challenging questions on the exam. Remembering and Understanding questions test basic comprehension of a particular term or concept. Application questions are designed to require a demonstration of knowledge, concepts, or techniques. Analysis questions test your knowledge of relationships between different concepts in order to test your ability to draw conclusions. The most difficult question types are the Evaluation questions. These questions are designed to test your judgement and your ability to draw conclusions that are supported by your understanding of various concepts. *Includes written communication question types. The most difficult question types, which are Evaluation questions, only appear on the AUD section of the CPA exam. Evaluation questions represent just 5% to 15% of the total questions on the AUD part of the CPA exam. The BEC, FAR, and REG parts of the CPA exam do not have any evaluation questions. Based on the weighting of different question types, you can see that the AUD section and the REG section have the highest weighting of easy question types. The BEC and FAR sections have the highest weighting of the second easiest question type categories. FAR and REG have the highest weighting of the harder question categories. The AUD section has the highest weighting of the most difficult question categories. The frustrating aspect of this question format is that 17% of multiple choice questions and depending on the test section, between 14% to 33% of written or task based simulation questions represent pretest questions that don’t count towards your final score. Unfortunately you have no way of knowing which questions are pretest questions so you have to answer every question to the best of your ability. Now that you understand the question format for each part of the exam, you need to know the relative weighting for each question type. This is important because each person will have natural strengths and weaknesses that will benefit certain question types. The chart below highlights the percentage weights by question type for each section of the CPA exam. A second frustration about the scoring process is that its not as easy as taking a simple percentage of your correct answers. To pass a section of the CPA exam, you need to score at least 75%. Let’s assume you just took the FAR exam. On the FAR exam, each question type has a 50% weighting. If you answered 50 operational multiple choice questions correctly and 6 of the 8 task based simulation questions correctly, your final score would not necessarily be 75%. Unfortunately, the CPA exam is graded on a curve. This means that the more difficult questions you answer correctly, the higher weight that correct question will have for your score. Conversely, when you answer easier questions correctly, these questions will have a lower weighting on your final score. This means that it is even more important to practice harder questions more often and to use multiple sources to practice hard questions. 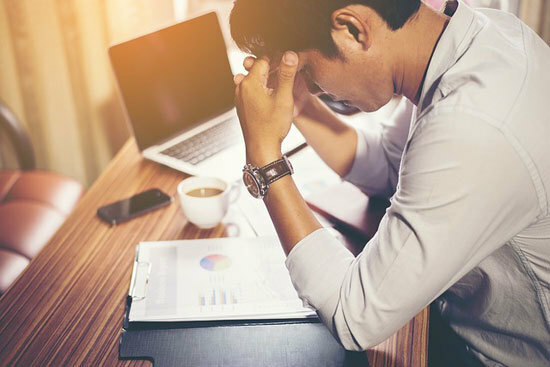 As your starting to realize, the best way to pass the CPA exam is to put yourself in the position to answer as many of the most difficult questions correctly as possible. By correctly answering difficult questions, your final score will benefit tremendously by the higher weighting of difficult questions. Conversely, if you answer mostly easy questions correctly, your final score may be much lower than you think it should because those questions have a lower relative weighting. This means that as you create your study plan, you should start by building a strong initial comfort level with the CPA exam material by answering as many practice questions as possible. During the back half of your study plan, you should practice as many difficult questions as possible from many different sources. This will give you the most exposure to difficult questions as possible. Ideally your skill level with difficult question types will peak just as your about to take the exam. One of the challenges when your studying is to find quality sources of practice test questions without spending thousands of dollars in the process. The easy solution to this problem is to utilize a quality supplemental sample question test bank. Supplemental test banks are available at much lower prices than more expensive courses bundles which are available for over $1,000. You can access these test banks for a single section or for all four sections of the CPA exam. We also like that some of the largest CPA exam prep course providers allow you to purchase access to a single section of the CPA exam. These are slightly more expensive than dedicated test bank products, but the single section packages offer tremendous value. The AUD part of the CPA exam includes 72 multiple choice questions and 8 task based simulation questions. You have a total of 4 hours to complete this part of the exam. Keep in mind that you could receive additional pretest questions in both multiple choice and task based simulation questions that don’t count towards your final score. The AUD section covers critical elements of an audit engagement. This includes evaluating a company’s internal controls and testing the integrity of a company’s accounting systems and reporting. This process is accomplished through reviewing source documentation and selecting individual transactions and tracking them back to the original source documents. Remembering and Understanding: 30% to 40%. Remembering and understanding questions are mainly found in Area 1 & Area 4 of the AUD exam. Application questions are tested in all 4 topic areas of the exam. Analysis and Evaluation questions, which are the hardest question type, appear in topic area 2 and topic area 3 of the exam. Area 1: Ethics, Professional Responsibilities, and General Principals (15% to 25%). Area 2: Assessing Risk and Developing a Planned Response (20% to 30%). Area 3: Performing Further Procedures and Obtaining Evidence (30% to 40%). Area 4: Forming Conclusions and Reporting (15% to 25%). Area 2 of the AUD exam focuses on activities covering each type of audit engagement. The questions relate to initial planning, risk assessment, and designing procedures. Area 2 represents the 2nd highest topic weighting on the exam at 20% to 30%. Area 3 focuses on performing engagement procedures and making conclusions regarding the adequacy and appropriateness of evidence. This topic area has the largest weighting on the AUD exam, representing 30% to 40% of the total exam. This content area is about identifying factors to consider when reporting on auditing attestation, compilation, and compliance engagements when preparing reports. This final section and Area 1 both have the smallest question weighting on the exam as they only represent 15% to 25% of the questions on the exam. The BEC section of the CPA exam includes 62 multiple choice questions, 4 task based simulations, and 3 written communication questions. You have 4 hours to complete this section of the exam. The BEC part of the exam covers topics such as how companies are managed, how risks are managed, general economic analysis, IT systems, and strategic planning. Most of these topics relate to internal controls and how the Board of Directors manage an overall business. Area 1: Corporate Governance (17% to 27%). Area 2: Economic Concepts and Analysis (17% to 27%). Area 3: Financial Management (11% to 21%). Area 4: Information Technology (15% to 25%). Area 5: Operation Management (15% to 25%). Knowledge of internal controls and enterprise risk management framework. Components and principals of internal controls and enterprise risk management. Corporate governance provisions of the Sarbanes Oxley Act. Economic concepts and analysis relating to the business cycle on a company or its industry. Drivers of market influences on a company’s operations. How accounting transactions are driven by business reasons and economic factors. Financial risks and techniques for mitigation. Considerations of a company’s capital structure including risk, leverage, cost of capital, growth rate, profitability, asset structure, and loan covenants. Working capital metrics including current ratio, cash conversion cycle, and turnover ratios. How business decisions influence working capital. Financial valuation models and application. Information system utilized for monitoring and preparing financial reporting. Assessing appropriate segmentation of duties and data security for internal controls. Business and operational risks related to business continuity. Quality control and performance measures. Cost accounting and variance analysis. The FAR part of the CPA exam includes 66 multiple choice questions and 8 task based simulation questions. This section of the CPA exam has to be completed within 4 hours. This exam focuses on posting accounting transactions and other tasks that a CPA would encounter on a daily basis. You will need to understand how to correctly post a transaction as well as what the impact of that particular transaction would be across the company as a whole. Understanding and implementing accounting standards will also be a critical component of this part of the CPA exam. Analysis questions (25% to 35%). Application questions (50% to 60%). Remembering and Understanding questions (10% to 20%). Area 1: Conceptual Framework, Standard Setting and Financial Reporting (25% to 35%). Area 2: Selected Financial Statement Accounts (30% to 40%). Area 3: Select Transactions (20% to 30%). Area 4: State and Local Governments (5% to 15%). Financial statements for-profit companies, not-for-profit companies and employee benefit plans as per FASB Accounting Standards Codification. Public company disclosures for earnings per share and segment reporting under FASB requirements for interim and annual financial reporting requirements. Financial statements prepared under AU-C section 800. Financial accounting and reporting requirements under FASB for all major entity categories. Accounting and reporting requirements for transactions by companies subject to FASB and IASB accounting treatment. Differences between IFRS and US GAAP. Differences between for profit and not for profit entities. GASB framework and the accounting requirements for state and local governments under GASB standards. The Regulation part of the CPA exam has 76 multiple choice questions and 8 task based simulations. Similar to the other 3 sections, you have 4 hours to complete this part of the exam. The REG exam includes business law concepts and extensive tax regulation. The tax regulation covers both federal and state requirements and how they effect both individuals as well as corporate entities. Many people find this section to be one of the most difficult parts of the CPA exam. Application questions (35% to 45%). Remembering and Understanding questions (25% to 35%). Area 1: Ethics, Professional Responsibilities and Federal Tax Procedures (10% to 20%). Area 2: Business Law (10% to 20%). Area 3: Federal Taxation of Property Transactions (12% to 22%). Area 4: Federal Taxation of Individuals (15% to 25%). Area 5: Federal Taxation of Entities (28% to 38%). Treasury Department Circular 230 rules and regulations for tax preparers. State Boards of Accountancy rules and requirements for a CPA license. Federal tax processes and procedures including disclosures, substantiation, and penalties. Legal issues affecting a CPA practice. Legal implications of business transactions relating to accounting, auditing, and financial reporting. Agencies, contracts, debtor-creditor dynamics, government regulation, and corporate structure. Federal income tax of property. Federal estate and gift tax. Federal taxation of corporate entities including sole proprietorships, partnerships, limited liability corporations, C corporations, S corporations, joint ventures, trusts, estates, and tax exempt entities. Tax planning for corporate entities.